A UNESCO World Heritage site since 1995, Luang Prabang is the highlight of the Mekong. Nestled among jungle and mountains and on the peninsula formed by the confluence of the Nam Khan and Mekong rivers. We’ll guide you on city bike tours to the cultural and historic sites. You'll take in the beauty of Laos and the magnificence of Asian elephants at the luxurious Shangri-Lao resort and elephant camp on the banks of the Nam Khan River, learn about local rice cultivation in the interactive and highly-acclaimed 'Rice is Life' Experience, and swim in the refreshing waters of the Kuang Si waterfall. Learn about rice cultivation at "Rice is Life"
We'll pick you up at the airport transfer you to your hotel. Depending on your arrival time we’ll go to lunch and/or take a short city tour visiting Wat Mai, Phousi Mountain and the Night Market. Begin exploring this wonderful town with your guide on a morning bike ride, starting with the local morning market where you can see the locals getting their daily supplies. The tour will continue with visits to the National Museum (closed on Tuesday and Sunday afternoon), Wat Mai and Wat Xieng Thong. Here you'll learn about Lao history and the kingdoms which ruled this place in former times. For lunch our guide will recommend a few great restaurants where you can sample Lao food. In the morning your English speaking guide will pick you up at your hotel in Luang Prabang and take you by VIP van to the Shangri-Lao Explorer Camp, 15 km outside of the city. Upon arrival you'll stow your luggage at reception and take an introductory tour of the elephant camp. You may talk with our veterinarian, feed the elephants, or relax by the riverside before a 5 km elephant ride through forests and over hills to the hidden Huay Sae Valley. There you'll leave the elephants and enjoy a sumptuous lunch of traditional Lao food with wine by a secluded waterfall. Depending on the water level you may swim in the cool, natural pools, before continuing with a 5 km trek on foot. This adventurous trail crosses bamboo bridges and passes waterfalls with blue pools and dense jungle. When you reach the Nam Khan River a luxury bamboo raft will be waiting to return you to the elephant camp. Enjoy a coffee as you relax and watch the traditional village life of farmers and fishermen along the river. Or take the option of a 30 minute visit to the beautiful Tad Sae Waterfall. Late in the afternoon you'll arrive at the camp, where your luxury tent will be ready for check-in. Spend the rest of the day at the jacuzzi swimming pool or go for a walk with your guide to visit a local village. In the evening a barbeque dinner will be served under the night sky. Rice is Life: The seed to harvest experience A Living Lands Organic Farm program. Hosted by the Living Lands community farm, this unique half-day, hands-on activity provides an understanding to the 14 steps of the rice cycle from selecting the seeds to ploughing (with water buffalo) to cooking and eating. After lunch we’ll head out to the Kuang Si Waterfall. We will pass beautiful landscapes of rice fields, hills, and small villages on this 35-minute drive. We will visit a small village along the way that will provide an opportunity to learn more about the ethnic diversity in Lao PDR. The Hmong live in this region and maintain a culture that is very different from that of their Lao neighbors. You will have an opportunity to learn about their traditions and culture, much of which has remained unchanged for centuries. At the Kuang Si Waterfall relax and enjoy the beautiful natural surroundings and or take a walk through this protected area. You’ll have time to take a swim in the clear pools of the falls. We will also visit the Bear Rescue Center at the falls and learn about efforts to protect native bears. In the afternoon we will explore some villages that make handicrafts. The locally made saa paper is especially interesting as it is handmade from the bark of the mulberry tree. Take a trip to Ock Pop Tok's Living Craft Centre and discover centuries old weaving and handicraft practices. Handed down through generations, from mother to daughter, these skills are being kept alive by social enterprises such as Ock Pop Tok. 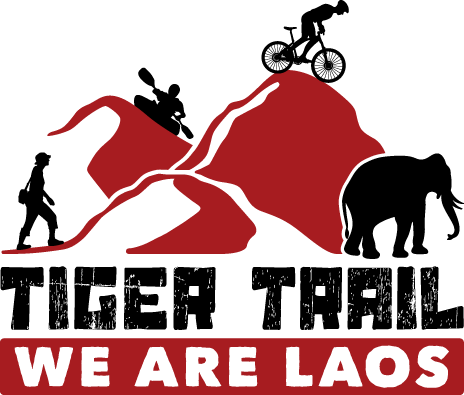 Learn about some of the 47 different ethnic groups in Laos by taking part in silk weaving, traditional fabric dying and bamboo weaving. Enjoy lunch on the banks of the Mekong at Ock Pop Tok's award winning Silk Road Cafe. "Sok Di," literally "good luck," is a traditional Lao way of wishing farewell.